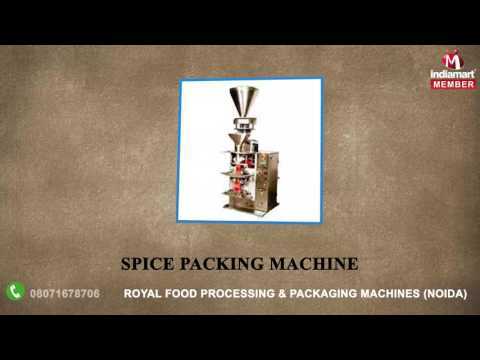 Founded in the year of 2014, we "Royal Food Processing & Packaging Machines" have established ourselves as a most reliable organization involved in manufacturing and supplying a large assortment of Industrial Machines. In this commendable assortment of machines, we are offering Food Processing Machine, Chips Packing Machine and Packaging Machine. These offered ranges are developed by taking supreme quality components and material taken from the most certified vendor of the industry. We are offering these products in various technical specifications to suit the varied application need of our clients. Our provided products are highly demanded for their quality, reliable performance and longer service life.